Comment: I want to put in a concrete patio with a design outside my back door with a walkway to my garden. I also may want to extend my front concrete porch. Comment: I need a concrete slap installed for a back yard shed. I also would like a concrete slap installed for an outside air condition unit. Columbus Concrete Contractors are rated 4.73 out of 5 based on 1,014 reviews of 62 pros. 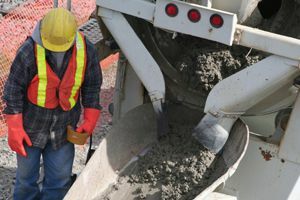 Not Looking for Concrete Contractors in Columbus, OH?